Eau Claire-area pooches have a new place to play with the opening of Sundet Dog Park, the city’s second off-leash park dedicated to canine cavorting. The dog park, 3403 Sundet Road, is next to Sundet Community Park at the intersection of Sundet and Robin roads on Eau Claire’s north side. The park offers a 8.2-acre fenced-in area for larger dogs and a separate 1-acre plot for more petite puppers. Built for a cost of $87,000 – all of it from fees paid by dog park users – the new park was officially opened Nov. 8. “We saw some very happy dogs and happy dog owners,” said Jeff Pippenger, the city’s community services director. The park is available to dog owners who purchase annual or day passes, which can also be used at the city’s original dog park, 4503 House Road. Pippenger said new dog park is similar to the older park, although it has more trees and other vegetation. In addition to providing a place for dogs to play on the north side of town, Pippenger said the new park will have the added benefit of bringing more people to Sundet Neighborhood Park, which will hopefully discourage the vandalism that has occurred there in the past. “Our hope is by bringing more people into this area we’ll see a reduction in some of this activity that we don’t want to see in our parks,” Pippenger said. 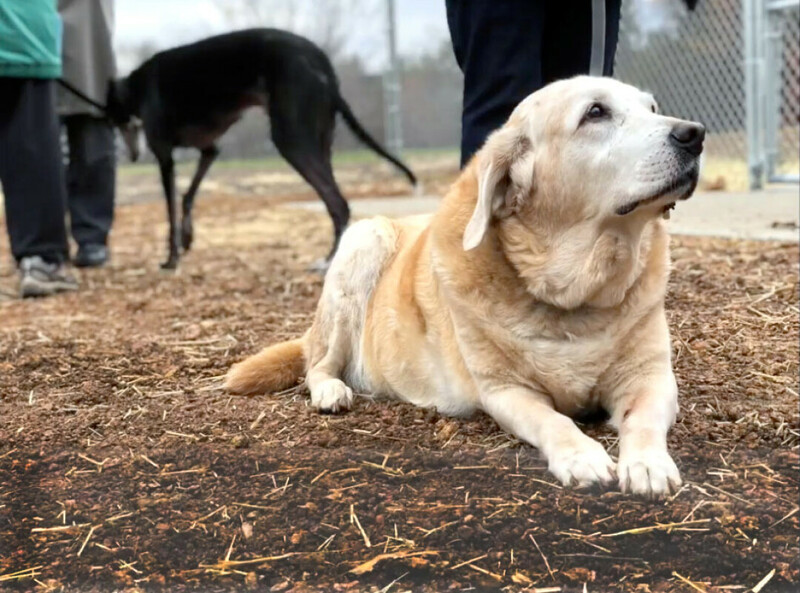 The city hopes to open a third dog park near Ferry Street on the city’s southwest side in the latter park of next year. Dog park passes are $25 annually for city residents and $33 per year for out-of-towners, while one-day passes are $5. To find out how you can get a dog park pass, go to www.ci.eau-claire.wi.us and type “Dog Park” in the search bar.